are switching to smart phone versions. That means that there is a huge market for mobile based applications, even larger than computer based, and the market is just getting bigger and bigger. Therefore to secure a dedicated customer base early in the game, its best to improve the quality of your mobile applications, and the best way to create a quality mobile app to is to test it in every way possible and keep informative records of application crashes. Crashalytics and Testflight are two such tools that you can use to test you mobile applications and track the problems in you app. Both these tools are equally good in mobile application analytics and testing, and thus share an intense rivalry in the mobile app segment. 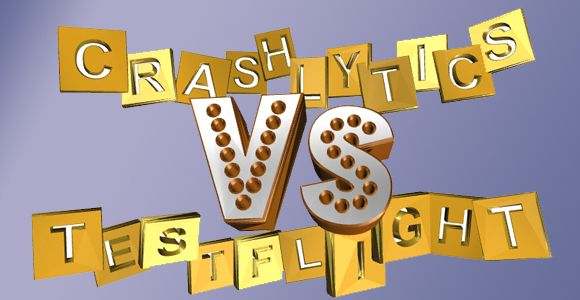 Crashalytics is a very efficient, powerful and light weight crash tracking tool, whereas Testflight is a robust application analytics tool. They have some similar features but many of them are unique to the tools.